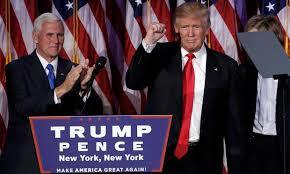 Donald Trump has been elected the next President of the United States of America, an outcome that I, and many others, welcome, albeit with some degree of caution. As I wrote yesterday, he is a lot better than another four years of the Clintons in the White House, a quarter century after their first foray in the halls of power, a privilege upon which they are still living and cashing sizeable cheques. A great swath of people in America are sick and tired of the corrupt cronyism and sense of entitlement of the political class, that is almost personified in Mrs. Hillary Rodham-Clinton (I notice she dropped the Rodham when running) and her disdain for the basket of ‘deplorables’. Father Raymond de Souza wrote yesterday in the National Post that he expected her easy victory, as did most, along with, one may presume, Mr. And Mrs. Clinton themselves. I suppose, in their minds they are entitled to the presidency almost by divine right. In the midst of an otherwise clear article, the good Father de Souza claimed curiously that she was not a ‘nasty woman’, the truth of which I am not sure how he knows, for I must presume he has never met her, nor spent time in her company behind the rictus grin she portrays on stage. There are any number of videos, and personal testimony, that evince in her some level of, shall we say, entitled privilege and disrespect of others. Furthermore, she has never admitted to any restrictions upon the ‘unspeakable crime’ of abortion. Not to mince words, as John Paul II advocates, she is a public and unavowed supporter of the murder of the unborn. Perhaps she does not qualify for the primary meaning of nasty (whose origin in Middle English is obscure), as in ‘filthy or obscene’, and perhaps Mr. Trump should not have used the term in that pejorative sense (as he should not have said many of the things he has said), but Mrs. (and Mr.) Clinton do qualify for a more analogical notion of the term, as in ‘morally objectionable and unpalatable’. After all, many Nazis were cultured, urbane men, with refined tastes and manners, as are any number of their modern-day philosophical descendants who have adopted their own ‘nasty’ views that some human beings, and the most innocent ones at that, are just not worthy of the right to life. Along with all of their other apparent and alleged corruptions, I for one am glad to see the Clintons gone from the stage, and hope and pray they repent of their crooked ways before they shuffle off this mortal coil (as I hope and pray for myself). Yet, at the same time, I am no great fan of Mr. Trump, and find the ‘In Trump We Trust’ slogan not only in bad taste, but at least quasi-blasphemous. Some of his proposed policies are bizarre and unrealistic, and hopefully checked by more prudent and measured minds than his. But at the very least Trump and his vice-president Mike Pence have declared publicly that they are pro-life, and will instantiate policies, laws and, most significatly, Supreme Court Justices with that in mind. Of course, not everyone, to put it mildly, is pleased, with the Mexican peso and many Mexican spirits in the tank, and, according to one pundit, women across North America feeling ‘gutted’ that a man like Trump has made it so far (but, then, more men are ‘like Trump’, and in fact more ‘like Trump’ than they may know or be willing to admit). It is curious that Trump’s victory occurred on this feast of the dedication of the Basilica of Saint John Lateran, the Pope’s, and Christendom’s, primary church. We all know who is ultimately in charge, Who holds the heart of the king like water in His hand. In the midst of all this division (which Christ predicted), and the transitory nature of politics and temporal authority, somehow, someway, God’s providence for America was played out in this election. We should take heart in this small, limited, somewhat disordered, but still very significant victory for some level of truth, justice and what might just be the American way forward.